On April 20, 2016 the U.S. Department of State and Assistant Secretary for Educational and Cultural Affairs Evan Ryan honored a group of extraordinary young leaders with the Emerging Young Leaders Award. 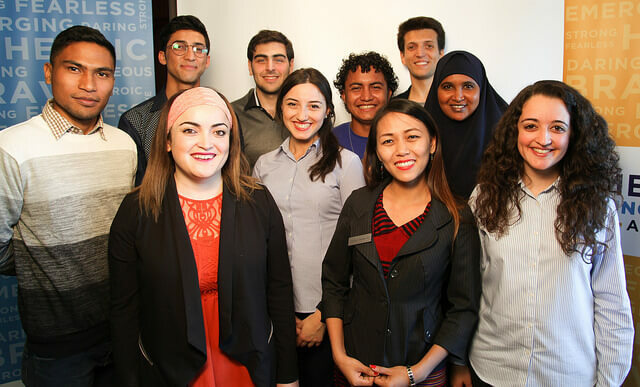 These inspiring youth from around the world were recognized for their tireless efforts to promote positive social change in their communities. Among other achievements, this year’s inaugural group has been instrumental in creating safe and positive environments for at-risk youth, helped to spearhead inter-ethnic and inter-faith dialogue and reconciliation, and promote democratic transition in their home countries. 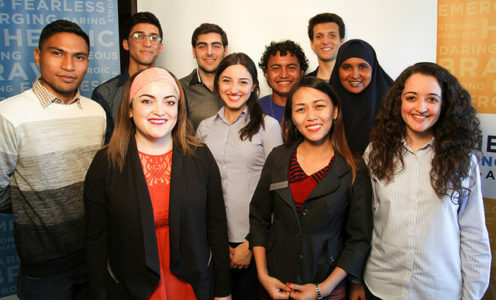 Following the awards they will participate in an exchange program around the US that provides skills and training that will set the honorees on paths for increased collaboration on global issues affecting youth, particularly those involved in combating extremism, empowering voices, and peace building. While in the United States they will visit Washington D.C., Roanoke, Austin and Chicago. The Emerging Young Leaders Exchange program will continue in their home communities with mentoring and support through a virtual exchange. Upon their return home, honorees will be eligible to apply for individual grants to support their work.